Hello, Jupiter and Neptune. Hello, Mercury and Venus. Hello, fun! The popular Seedlings series now offers irresistible introductions to our solar systems eight planets. Written in a friendly voice, filled with dynamic photos, and featuring text crafted for the youngest of readers, these newest books spotlight the names, orbital processes, and defining features of the planets. Each book closes with a labeled-image guide for further review. As introductions to informational text, these titles will plant the seeds of knowledge! A kindergarten-level introduction to the planet Mars, covering its orbital process, its moons, and such defining features as its rocks, dust storms, and name. 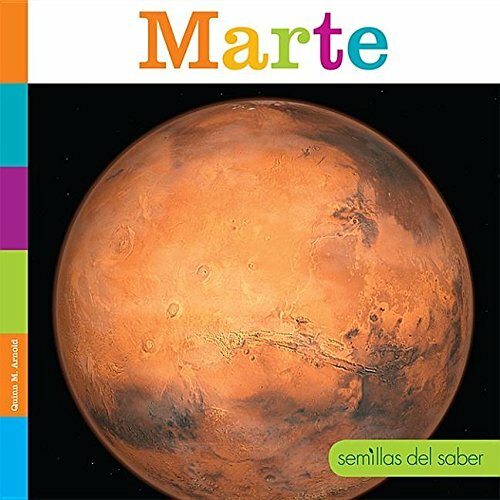 Una introduccin al planeta Marte para nios de kindergarten. El libro incluye su rbita, sus lunas y caractersticas propias como sus rocas, sus tormentas de arena y su nombre. If you have any questions about this product by Creative Educ, contact us by completing and submitting the form below. If you are looking for a specif part number, please include it with your message.